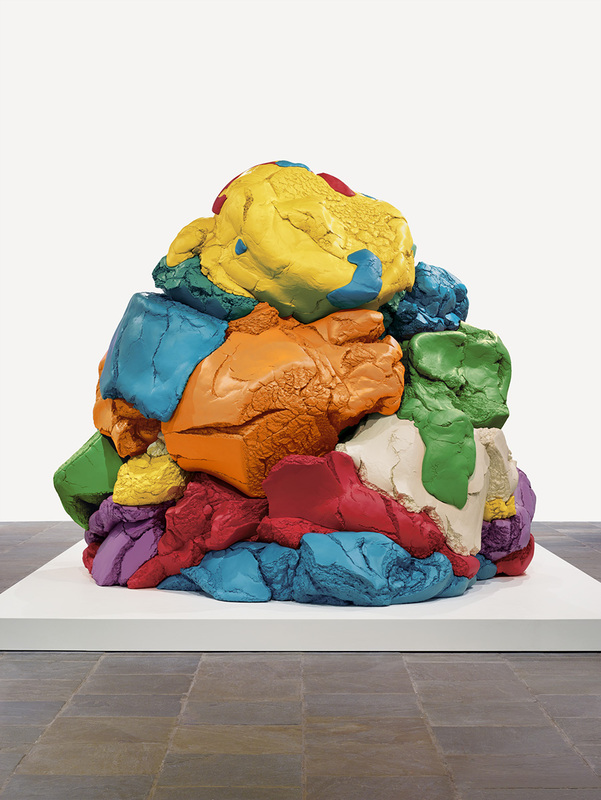 From left to right: Play-Doh, 1994–2014, Jeff Koons. Polychromed aluminum, 124 × 152 1/4 × 137 in. Collection of the artist, © Jeff Koons; Head of Plato, mid-3rd century, Roman. Marble, H: 14 3/16 in. 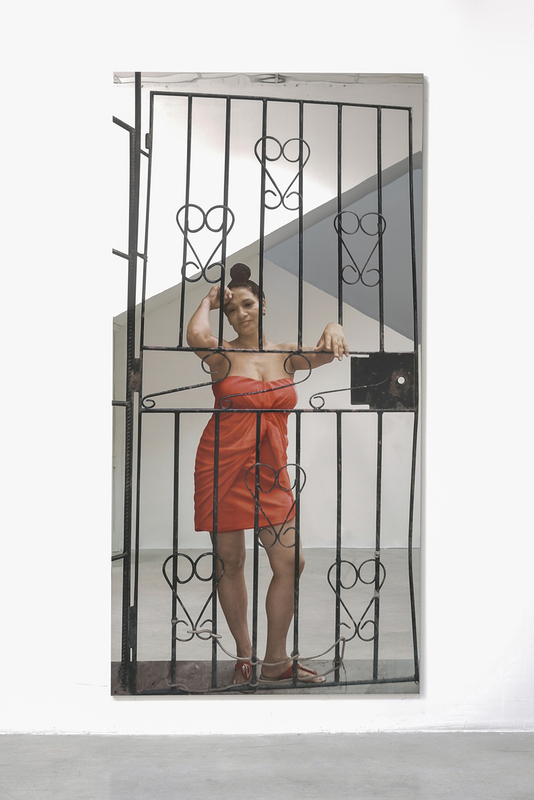 The J. Paul Getty Museum, 73.AA.16; La Habana–Venere Cubana, 2015, Michelangelo Pistoletto. Silkscreen on polished supermirror stainless steel, 98 7/16 × 49 3/16 in. Courtesy of the artist and GALLERIA CONTINUA, San Gimignano/Beijing/Les Moulins/Habana. Plato. The founder of Western philosophy. An authority in the canon so essential to the way Westerners think about thinking that it is difficult to imagine philosophy today without the foundation he established. Play-Doh. A colorful, clay-like material that kids mold into whatever shape they can imagine. Other than a similarity of pronunciation, it might seem that Plato and Play-Doh couldn’t be more different, right? Plato’s works are not textbooks or lectures. He conveyed his teachings through dramatic dialogues between his teacher Socrates and other important minds of fifth-century BCE Athens. For instance, in one such dialogue, Plato has Socrates debate the nature of virtue with the sophist Protagoras. In another, we find him grilling Gorgias on the use (and abuse) of rhetoric. The Q&A format that these conversations take invites you to ask yourself the same questions that Socrates and his philosophical opponents debate. How should we govern and be governed? What is justice? And how can we determine what is just? Is the world we perceive real? Or is it a mere copy of what is real? In short, Plato gets you to think about—and more importantly to question—yourself, the society you live in, and the reality you experience. For me, part of the “playfulness” is determining just how far you should take this approach: Should I question Socrates? Should I question Plato himself? This isn’t to say that Plato didn’t have a few core ideas about reality, truth, and representation. He certainly did. But what makes Plato so relevant today for me is not necessarily his thoughts about justice, about the perfect republic, or about the realness of reality. It is his emphasis on questioning and not accepting at face value what you’ve been told. 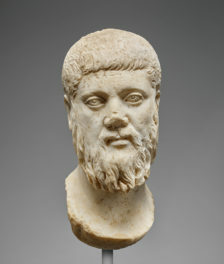 It is this understanding of a more playful Plato that brings us to the exhibition at the Getty Villa. 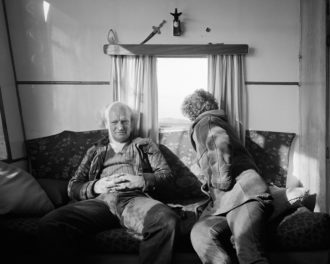 Like the ancient philosopher’s work, much contemporary art today leaves it up to you to dialogue with the work and question its meaning—and in so doing interrogate yourself and expand your own point of view. 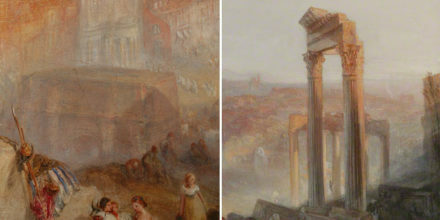 You can see these ideas at play in the works of art on display in the exhibition, as well as in the ideas of the artists who made them. You can get a sense of this approach “to muddy the waters” from the 15 works on paper that Pettibon contributed to the exhibition. In one piece, the artist recreates an interjection he might have had while reading Plato’s text, modeling for us the kind of questioning I mentioned above. Plato’s Socrates has often been read as having a very limiting stance on music, censoring it to only a few topics and types. 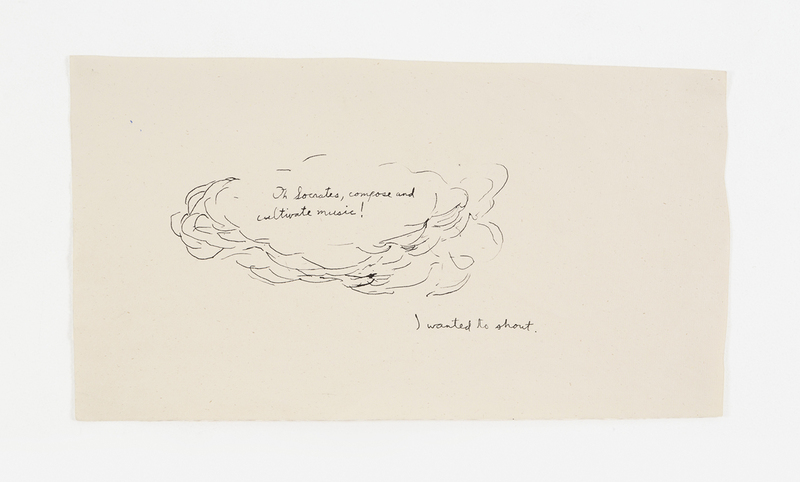 Pettibon responds to this, saying “Oh Socrates, compose and cultivate music!” Or at least, that’s what he “wanted to shout” when reading Plato. Was Plato’s point for us to question Socrates on this topic? How does an artist deal with a figure who seems to advocate limiting artistic expression? By recreating for us his own personal “dialogue” with Plato, Pettibon opens the text up to discussion, encouraging us to do the same. For Jeff Koons, art is “an experience that is about you” and about giving yourself “potential to grow.”(5) Of course, art that asks you to dialogue with it in this way might take a bit of time to interpret. With the pieces from Plato in L.A., you can’t rush the conversation. That’s part of the fun, though. Like a child fashioning a piece of Play-Doh with her imagination as much as with her hands, the type of art featured in Plato in L.A. gives you a chance to slow down, shape your experience of the work, and give it meaning. These mental acrobatics often push you to get outside your usual mindset and even reshape how you see the world around you. You don’t need to be a professional philosopher to do this, however. Plato’s approach to philosophy embodied by this kind of art isn’t something that has to be abstract or inaccessible; interrogating your own reality can be a part of your everyday experience. You can even find it in a piece of Play-Doh, as Koons’s piece from the exhibition suggests. Rather, it is for the work to speak and begin a dialogue with you. The figure in the “mirror” is not a direct reflection of you or me. And while her dialogue with me is about just how much I should trust my senses, she might be having a very different dialogue with you. Just as we all have our own reflection, so too do we deal with this particular “reflection” of us in our own way, asking of it our own personal questions. Plato was not some dogmatic, stuffy ancient philosopher who had all the answers. He had questions. And he asked you to have questions, too. Those questions are your own and can be very different from someone else’s. That variety is apparent in the many different questions that the artists of Plato in L.A. inspire you to have through their art. What was important to Plato is that you are constantly willing to ask them—whether you’re visiting a museum, reading philosophy, or even just playing with a piece of Play-Doh. 1. 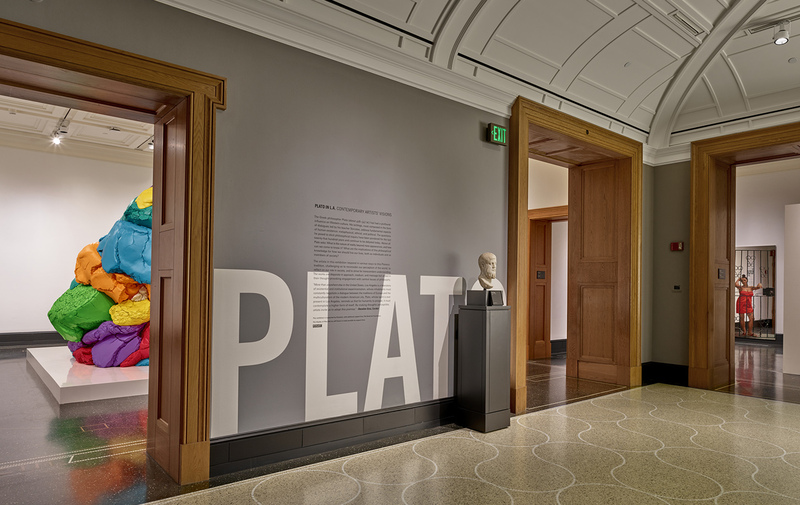 Donatien Grau, ed., Plato in L.A.: Contemporary Artists’ Visions (Los Angeles: J. Paul Getty Museum, 2018), 45. 2. To Joseph Kosuth, another artist contributing to the exhibition, exactly where you think Plato falls on this philosophical spectrum is somewhat irrelevant: “It does little good, does it, to distinguish between breaking the eggs and building an omelette. At this end it’s very much the same thing” (Grau, 24). I spent a year as graduate intern at Getty Publications in 2016–2017 before coming to work at Yale University Press. I have a PhD in Classical Studies and am passionate about making classics accessible to general audiences. Most recently, I coauthored a children's book for the Getty entitled Cornelius and Cleo: A Tale of Two Kitties (2018). Interested in the responses of others…fascinating! !